Ask any music fan what T-Pain is most famous for, and they’ll tell you: imaginative, dazzling, mind-warping vocal effects. It was T-Pain who introduced voice processing into hip-hop, and even when his peers copied him, his relentless experimentation kept him in the front of the pack. But T-Pain is also a first-rate producer, beat-maker, and hip-hop concept-master, and if he wasn’t as talented a singer as he is, those effects wouldn’t sound as good as they do. “Getcha Roll On”, the latest single from 1UP, his seventh album, uses vocal processing sparingly. Instead, the song demonstrates what a forceful, exciting singer he can be, even when his voice isn’t ostentatiously enhanced. Not that he’s got anything to prove. The Tallahassee rapper and singer has scored eight platinum tracks as a lead artist and many others as a featured performer on other artists’ songs. His best-known songs – “I’m ‘n Luv (Wit a Stripper)”, “Buy U a Drank (Shawty Snappin’)”, “Chopped ‘n’ Skrewed”, “5 O’Clock” – are bigger than pop or rap: they’re part of our national consciousness. Over his two-decade career, he’s worked with nearly all of the biggest names in hip-hop, including DJ Khaled, Lil Wayne, Kanye West, Rick Ross, Snoop Dogg, and dozens of other artists hungry for the distinctive flavor that only a T-Pain vocal can provide. 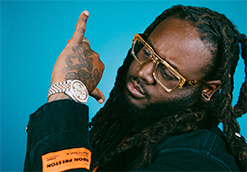 On “Getcha Roll On”, T-Pain pairs with one of the most exciting young voices in modern pop: Toronto R&B singer Tory Lanez, whose singles “Say It”, “Luv”, and “Talk To Me” heated up the Top 40 in 2018. To shoot the clip for “Getcha Roll On”, T-Pain has turned to an experienced hand: Edgar Esteves. 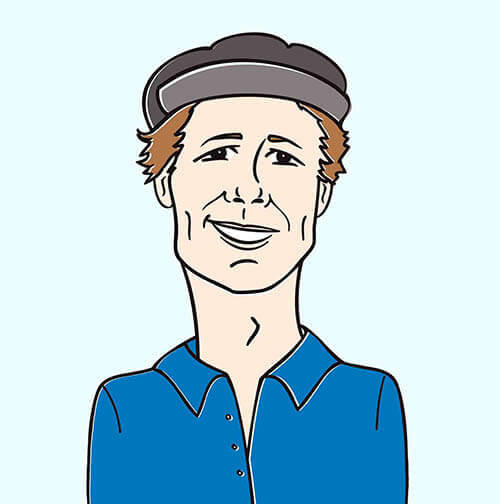 Esteves made videos for artists of many genres, including rock, country, and mainstream pop. But hip-hop is his specialty, and he’s recently demonstrated his mastery of the rap style and iconography in kinetic clips for Quavo, Lil Baby, and Kevin Gates. “Getcha Roll On” is a nighttime fantasia of screaming stunt cars, club lights, and beautiful bodies. T-Pain and Tory Lanez rap and sing in the parking lot as the automobiles screech circles around them. The star addresses the camera with utter confidence and swagger. And why wouldn’t he? After all, he’s T-Pain. Here at HIP Video Promo we’re elated to be working with Chris Herche and his team at Cinematic Music Group for the first time and beyond thrilled to be championing such an established, talented artist like T-Pain. We’d be stoked to see this new video added to your cherished programming and online presentations in a timely fashion, so please check it out as soon as you can. Rest assured we’ll have plenty of T-Pain merch available for on-air contests and giveaways, so if you’d like to get your hands on some, we’re here for you. Please contact Andy Gesner and the HIP Video Promo staff at (732)-613-1779 or email us at info@HIPVideoPromo.com. You can also check out www.TPain.com for more info.